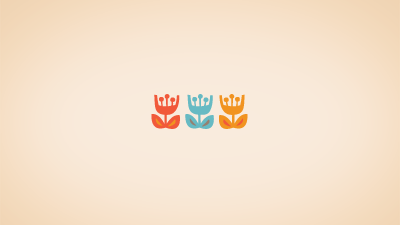 Download the little tulip motif from my latest fabric line as a wallpaper freebie right here. There's plenty of room to line up all your files and folders around the edges. For personal use only, por favor! Thank you! Being Dutch, tulips are a favorite of course. And we desperately need some Spring up here in the Northwoods. the flowers i most love in this word are tulips. me and my desk-flowered-top say thanx! Awww thanks! Tulips are my favourite. adorable! They made my Monday! Lovely! This will be a warm welcome when I fire up the computer in the morning. Oh, hello Tulips! Thank you! I adore tulips! perfect.. got it on my desktop. Thank you! I love orange and I love your blog! Thanks! Tulips are my favorite and your image just makes me want to smile. Thank you! Just saved it to my desktop. So nice for spring! Thanks, I really needed a change! Thank you. I prefer wallpaper that is simple so the icons don't get lost but then has something delightful and eye catching in the center. This is just perfect!